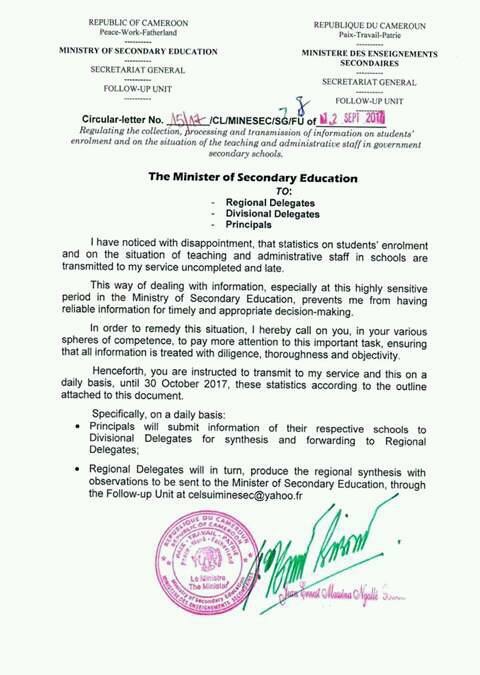 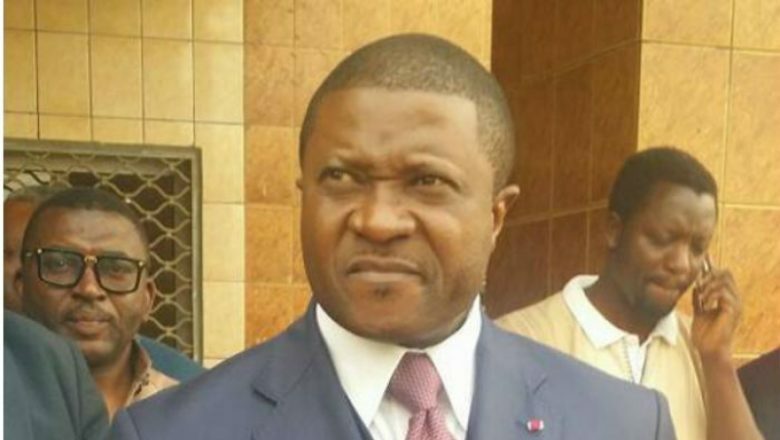 The Minister of Secondary Education Jean Ernest Messina Bibehe Ngale has in a press release issued on the 12th of September 2017, castigated Educational officials and other media outlets against the falsification of statistics reaching him. He stated with dismay that the actual number of students enrolled this academic year was not the same as he had been told. He warned that severe measures will be taken to prevent this practice in future.